In much of the industrial B2B world it's trade show season - not the shows themselves which will roll around in the Autumn, but rather planning season. As you allocate massive (or even minor) portions of your budget to shows, it's worth challenging some traditional assumptions. 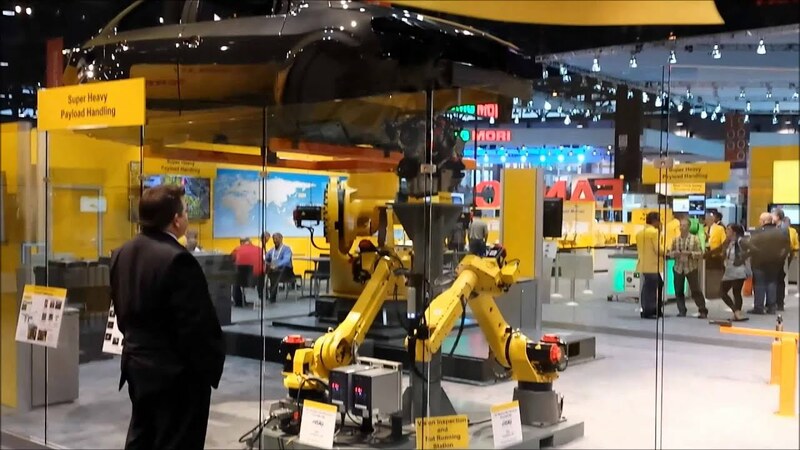 Don't worry, I'm not going to tell you not to exhibit because trade shows are dead - in fact they remain important to both manufacturers and buyers. After all, even the internet types who conduct business by email and text message, and who predict the demise of shows....still look forward to their pilgrimage to the Consumer Electronics Show. Although shows aren't going away, buyer expectations are changing. Your expectations should as well - and your execution must. One important note - this post is focused on shows which are structured around lead generation rather than writing orders on the floor. If that's your focus, you'll fail. Crazy you think? Well, let's unpack it. Who cares about leads? Only you and your team. Nobody comes to the show excited to become someone's lead. They come to discover; to learn; to foster relationships; and to compare you with your competitors. Aren't you likely to be more successful helping them satisfy their priorities rather than imposing yours on them? Now, rest easy. I get it. You can't leave the show empty handed. You're putting a bunch of money into it and you've got to justify the expense with more than just the opportunity to refresh old friendships and plant your flag. But you don't carry leads on your balance sheet - particularly leads which close at a very low rate. The yardstick for trade shows is revenue. So let's start from the beginning. How can you leverage new tools to simultaneously provide an experience that will be far more satisfying for prospects AND actually engage new and previous contacts in ways around the show which will move them further through their buying process. Expertise not badge swipers or "booth babes"
Remember back in the old days when a sales rep took handwritten notes on some sort of lead form? Collecting the lead's contact details required a discussion of sorts which offered the sales rep a chance to bond a bit and gather sales insights - all while collecting contact information. Then badge scanners came along. So now your sales rep tries to have a bit of conversation while scanning / swiping the visitor's show badge. If your booth is busy, that's a perfunctory transaction. If it's not busy, likely the person having the conversation scribbles a couple poorly written cryptic notes - after all, it's probably in another rep's territory. In neither case does the visitor receive any value - just the vague promise of follow up and the hope that they win who/when follow up lottery. So why can't they scan themselves? Oh, that's right, you need an expert to explain what you're showing in the booth. Except your expert may not be; and talking about your gadgets is almost certainly going to overlook what business value they would realized. So let's take this from the top. Instead of selecting service packages from the show manual, let's look at effective approaches which lie at the intersection of technology and changing buyer behaviors. These will help you optimize your show results....to help prospects understand how you might make their business lives better, and coach them through their buying journey at a pace that is comfortable for them. This isn't about your latest gadget - it's about improving your customers' business. That means that you need to clearly understand personas and buying journey, including priority initiatives, success factors and perceived barriers. These must be the issues they wrestle with - not the ones you prefer to talk about or assume are important to them! Everything you show, distribute and discuss needs to focus on those points. Each machine, demo, model, video, presentation and especially interactive material must be selected for its fit against a matrix of personas and journeys. These must be planned well in advance (note - this isn't what machine production tells you they think they can deliver for you between actual orders) because the content (articles, emails & press releases) that you'll start to 3-4 months in advance will be built upon the hardware in the booth. And that hardware should be focused on solving today's most pressing business issues. Start writing articles several months in advance, on key topics, and have CTAs for offers & sessions in conjunction with show. And don't stop there. For $100 you can buy a number of issue related URLs (e.g. TopicShowYear.com) and forward each to the relevant page on your site. You're going to use these in your booth in #3 & #11 below. You'll also need to develop training for your reps who may be unfamiliar (unfortunately but realistically) with these critical buying process building blocks. include a page with an interactive "map of your booth"
4. Create a great show "offer"
This isn't an iPad! It's an opportunity for them to tap into your expertise. For equipment and automation manufacturers, for instance, that could be a data audit or design review. Typically this will be something that is a step in your sales process which helps to understand and optimize their operation based on the experience you've got from a large number of applications. It should require some "homework" from them and be appropriately economical and scalable for your team. For instance, in the case of a data audit, you can provide them data requirements (even forms for data collection and online space for storage.) You could create some appropriate "boiler plate" report with a couple sections to be customized in each case, and base your observations on their submitted data instead of a site visit. There are several keys to keep in mind. First, this can't be about selling. This has to be about helping them. It's free consulting - and that's OK. Second, if you're providing real value and not trying to sell directly you'll have an easier time collecting the required info from them - critical data which later will allow you to segment and nurture them. Third, use it as a hook. This could be what they receive if they pre-register with you, if they keep a scheduled show appointment, or if they bring several members of the buying team to your booth. NEVER send a "Please visit us in Booth # 1234 where we'll be pleased to exhibit our latest A17x.1 gadget innovation" email. The only people who might respond are those who would probably visit you anyway - and aren't at the show to solve business problems for which they don't have enough time. Plus, it makes you sound like every other company. I'm guessing that's not the way you think of yourself, so why masquerade as such??!! Subject lines & content must speak to them directly - not "Visit us at XYZ Show" - and each mail must be designed to engage and convert them on your show microsite. You want to build an understanding of what's specifically important to them and where they may be in their buying journey. They won't tell you, but that's OK. You're going to learn it anyway....if you do this correctly. 6. Connect with those who "map your booth"
What awesome info! Someone decides in advance that they want to make sure to visit your booth....and you're going to wait and hope they actually wander in? NO! You've got to be in touch with these people in advance. Don't be creepy about it, and understand depending on the "map the show" functionality this will take some work on your part. But do it. As long as all communication is genuinely around helping them maximize the show, getting them the information they need and pointing them to helpful resources, they'll be fine. BUT - remember these folks haven't necessarily opted in. So you can reach out 1:1, but can't just add them to your "list"...yet. Once they convert, though, then their status changes depending on your site privacy and data use policies. These needn't be grandiose - they could be simple 5-10 minute presentations. Done right though, they'll be the basis for some really powerful content. Topics should all align around the key business issues. It's going to be really easy to just talk about you and your solution. Don't do it! However, that doesn't mean you can't work your solutions into the discussion. Here's a quick example. Let's say that one of the priority initiatives you know drives buyers is increasing OEE, and further, that a huge piece of that is reducing changeover times to accommodate shorter runs. You could offer a demo "Machine XYZ230 Quick Changeover Features" which will only appeal to a very small potential segment of attendees. Or you could offer something like "Reduced costs & increased output - Trends in quick changeover & short run solutions to improve OEE with (name your solution category here)"
See the difference? One has much broader appeal. But it doesn't stop there. Have different speaker profiles - not just sales & marketing. Engineers & technicians speak with much more authority to their counterparts. Let your CFO speak on finance related issues and someone from HR on other topics. Have related industry partners (e.g. complimentary suppliers) speak as well. Remember that the audience in front of your booth is only a small portion of that which you want to reach. Others at the show with interests that don't realize you can help, and the huge number of potential buyers globally that aren't within the typical 250 mile radius of show attendance, could all benefit as well. You're putting the work into the show - make sure that what you do is effective AND multipurposed. I bet I know your lead management process. Export leads from the lead capture solution; upload to CRM; assign to regional sales managers; they decide how to follow up and whether/which sales channel partner to push it to. Then gradually over the next 2, 4 & 12 weeks you send reminders and grow frustrated that you don't get any solid feedback on what's happening. In the end there's little control over conversions and almost no way to measure the ROI of show participation. Your inside sales team should be able to quickly satisfy informational needs and route follow up according to buyer wishes, your sales resources, priority of buyer/project types and other factors. The sales process should be well underway when field sales receives the lead - and if it's a long-term nurturing (future prospect play) then keep it with inside sales. Have you ever tracked traffic in your booth vs. leads? Didn't know you could? More on the technology later in this piece. In the meantime, let's agree that great potential leads stop at your booth but are never captured. It could be because they prefer to remain anonymous; your booth was too busy and they wouldn't wait; your sales rep botched the discussion; or any of a number of other reasons. But we know it happens. Your goal is simple - set a cookie on their mobile device and hopefully associate an email. That requires a form "conversion." But nobody's going to do this for you as a favor. You've got to make it seamless and interesting - in other words offer loads of mobile optimized (getting that message yet?) content that they can easily access - that ties directly to the business issues and items on display in your booth. For instance, if you have a display of the main business issues, have a QR code for each that they can scan which takes them directly to a mobile page that lays out the challenge and the range of solutions you offer to help them overcome it. Consider versions targeting each persona as well. And imagine the data you'll collect - ever wonder which issues are really resonating for people? Here's your answer. You'll have great insights into what is generating interest - rather than your sales team's favorite topics! Still use the same antiquated show system? Probably either because you really enjoy standing in line to turn it in at the end of the show, or maybe you love wasting time manipulating data for the extra step of importing leads into your CRM or lead management system. What? You'd rather not deal with that? I understand. So let's make it more efficient, capture richer information, and enter leads directly in your CRM - all in one step. There are lots of options to do this, and the right one will depend on the type of badges to scan, how much variable information or application detail you need to capture / lead, how many booth personnel you'll have, what marketing automation & CRM you use and how facile your IT people are with API integrations. You can also use forms (CRM, marketing automation or even "surveys") for your staff to enter leads directly. You may be able to incorporate scanning for some field population. Your CRM / marketing automation probably has a "new contact" functionality which you could use real time with the contact if it's really easy, or have someone in the back of the booth immediately processing business cards manually entering data. You can also use apps on company iPads or your staffs' BYOD (bring your own device) equipment, and surveys can be used for rapid data collection. For instance, why not use bar code scanning apps to populate forms so the rep (or even prospect) adds a couple relevant fields such as industry and application description. Any extra step transferring or entering data is superfluous, introduces opportunity for errors and delays running marketing automation workflows outlined below. Your buyers are carrying smart phones, and more and more of your prospects are from generations that interact with friends and vendors through mobile device driven interaction. You've got the opportunity to not only make the booth comfortable for them BUT ALSO to immediately identify your business as one that "gets it." The mobile optimized microsite you created will now be the engine behind this interactive element. You can & should engage in two ways. Beacons (more here and here) can offer standalone functionality or be integrated with apps. In the most simple execution beacons in your booth can direct people to a URL - ideally something like the booth directory mobile optimized page you created from which they can navigate further. You should also have QR codes at each machine and display to link people to the relevant optimized page for what they're seeing (not just home page!) Each page should have easy forms to request info, request a sales rep, request a quote and/or subscribe to blog. Also consider "smart content" to display industry / role / journey specific info once they've converted and you know a bit more about their interests. Remember those issue specific forwarded URLs, post those at each exhibit as well for folks that don't want to use QR codes. Here's the key - you'll make it far more engaging and comfortable for many visitors AND you'll set a cookie, get an email address and begin to learn who they are and what's of interest. Worried that some of your visitors won't want to interact that way? No problem. You'll have traditional staff there too for the traditional lead capture process. However, you're collecting all kinds of great information each day at the show. You're learning what's important to customers by industry and region. That's information others would love to have whether they're walking the show or couldn't attend. That needs to be the focus of your social, live blogging and daily recap from the show. What interesting application questions did you receive? What trends did you begin to detect? This means a conversation - not just blasting out pictures of your staff and booth. You should have lists set up to monitor certain topics, hashtags, keywords, industry influencers, journalists and sales channel partners. Dust those lists off and actually watch them. Respond and engage in discussions around substantive business topics during these several intense days of industry focus. Later, consider storifying the show to capture notable / interesting social activity into a digest for future reference or consumption by folks who couldn't attend. You should know how many people were looking at each of your exhibits for how long. Wouldn't you love a heat map of physical activity in the booth? How about metrics on which topics were most impactful? Many of the same tools that Alibaba uses to understand buying habits can be deployed in your booth. Beacon technology is evolving quickly. It's often used in conjunction with an app (more appropriate for the show organizer than your booth) but new protocols allow you to push URLs out to nearby mobile devices. You can also track locations and durations of nearby devices. This is really 10 topics or more - but consolidated here to make it manageable for this introductory article. You've seen the trashcans overflowing with expensive printed collateral at shows. Nobody wants to carry it, and much of it isn't ever reviewed. Further, time out of the office often results in piles of emails and days of catch-up time on return. Shows are as hard for attendees as they are for exhibitors. Your prospects need access to the subjects that were of interest to them, when they need it. None of the follow up should be according to your priorities (or your distributors'.) Here are some examples of how the right tools, properly employed, can help. provide a consolidated info request form with check boxes for each of business issues/exhibits your address in your booth. Respond with a "smart content" email (you might even let them select a day to deliver it when they expect to be caught up) which includes appropriately tailored high level info with links to recap of the display and specific related deep dive resources. marketing automation workflows aren't only to simplify the provision of follow up information to prospects - they can also be used for internal coaching, reminders and admin. For instance, automatically assign leads to sales reps by national account, state or other criteria. Automatically generate a mail to the prospect, from the rep, confirming the requested follow up details. Create tasks for reps to call high priority leads, and remind them several days later if there's been no activity in the contact record. Provide simple rep triggered workflows with email templates which incorporate informative materials (e.g. case studies) based on lead context. Even send the rep some call prep insights based on the prospect's activity on your site before, during and after the show. Intelligent marketing automation should enhance your follow up - not simply automate it. Don't forget that just like the in booth resources will require training for your reps, these follow up procedures will also - and they'll create some angst and consternation. That doesn't mean they're wrong - simply different than the past. Will your reps conjure up scenarios which you've failed to consider? Sure they will. Remember, though, that your lead contact and conversion rate from previous shows has been disappointing. Your goal is to improve it. That's what this will do - with incredibly nuanced contextual customization for nearly every lead. Marketing automation should provide a range of options limited only by the creativity and buying process insight of your sales team. There's another enormous opportunity with marketing automation - the ability to follow up with, and nurture, a huge number of unqualified leads at no incremental additional cost. You need your reps working directly with the priority leads - whether they're identified by current projects, strategic accounts or other factors. If they're going to maximize their effectiveness there, they can't be distracted with leads that aren't priority. But to simply ignore those who aren't is to squander some potentially large portion of the long-term value of your show participation. So automate it! Add them to an appropriate marketing list to share periodic information which will likely be valuable to them (e.g. by industry and/or job title.) Then set up lead-scoring. When something engages them (more page visits, specific information downloads, etc.) alert your rep to be in touch. Like marketing automation itself, there's almost a limitless range of options here. The point is that you rely on data in your finance and operations - it's time to leverage it in your business development, marketing and sales investment planning as well! As we finish, let's talk about the higher level takeaway here. If at any of these points you thought to yourself "That would be great, but" then you've got some other challenges to address. Maybe IT controls your contact database or website. Maybe your site isn't mobile responsive, much less capable of optimization. Perhaps you don't use a CRM and haven't implemented marketing automation. Maybe your sales & marketing teams can't agree on shifting to a buyer perspective instead of just pitching gadgets. You've got a choice. You can continue to invest in the show and manage it the way you always have. You'll comfort yourself with the fact that it's important to show the flag anyway. Or, you can acknowledge that if you've got gaps around trade show execution that inhibit performance, then certainly the broader sales & marketing effort is also compromised. And you can commit to fix it. Would you tell a customer that this year you'll fix a small quality problem in their equipment but the others will have to wait until next year? I hope note. So why take that approach in your interaction with them simply because of internal conflicts, silos and inertia? Think maybe it's time to take a different approach to your industrial trade shows? Let's schedule a 20 minute call to discuss your goals.